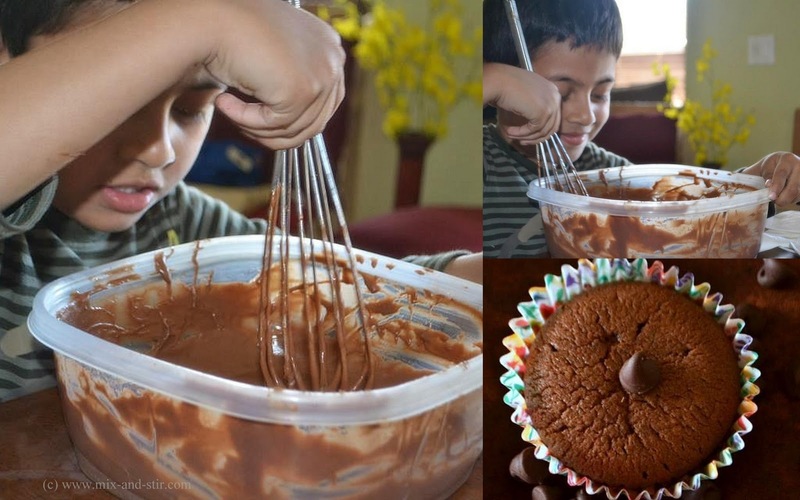 Mix and Stir: Easter Special Chocolate Cupcake. Hope you had a great Easter !! It's very nice to see little bunnies all around, hunting for eggs with their colorful Easter basket. Though we don't celebrate Easter at home, my son’s school planned a fun event for the kids. They had to make basket, decorate eggs and go for hunting. Loved to see the joy of their face when they opened the eggs one by one and get some candies. Easter and Spring break fell on the same week. I was roaming around the blogs to see Easter creations from different people. So an idea popped up in my mind. Wondered if I bake or decorate something that my little one would love and he would help me at the same time to have fun during his Spring break !! 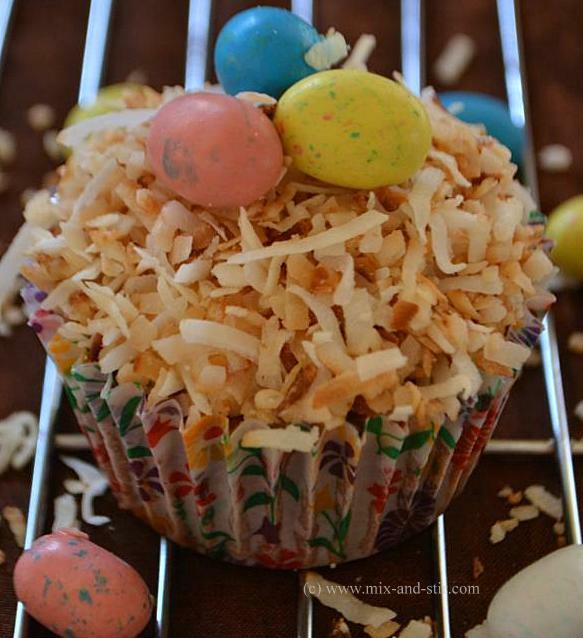 It's a very easy one, Easter Cupcake. My son had a request - “Mom please refer my name when you would post this recipe on your blog”. Yes, he had so much fun in this creation. Last year in his summer break, I took him in my baking but he was not so confident. This time he was really good with his tiny hands. 3. In another bowl, add flour, baking soda and salt and whisk it. Take oil and sugar in a bowl, beat them with a hand mixer until they are well combined. 4. Add the vinegar and mix well. Beat in vanilla extract. Add the flour mixture and beat nicely until incorporated. 5. Now Add the cocoa mixture and mix the whole thing till it becomes smooth. 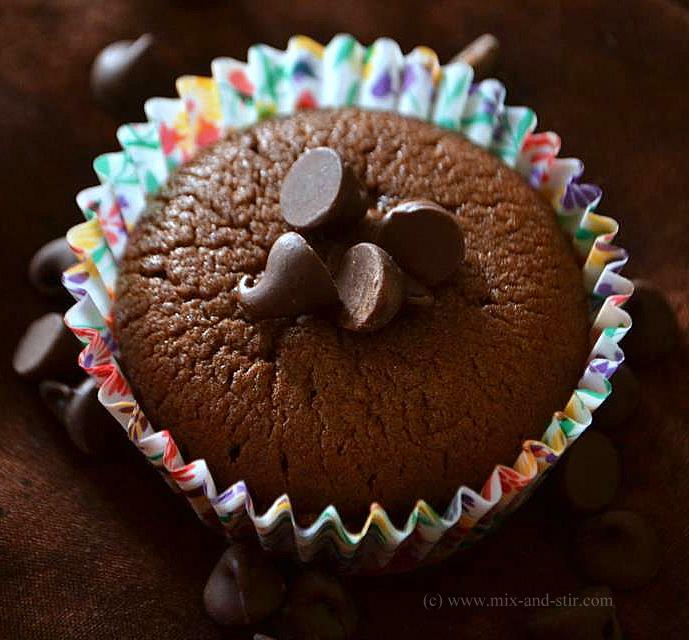 Fill each cup about 2/3 full with batter and bake for about 20 to 25 minutes or until a toothpick inserted into the center of a cupcake comes clean. 1. keep a mixing bowl and wire whisk into the freezer for about 15 to 30 minutes. Place the heavy cream, sugar and vanilla extract in the cold bowl. Beat just until stiff peaks form, immediately cover and refrigerate it. 2. Spread the coconut in a large baking pan. Toast it in 350 degree oven until color changes to light brown, stir it occasionally. 3. 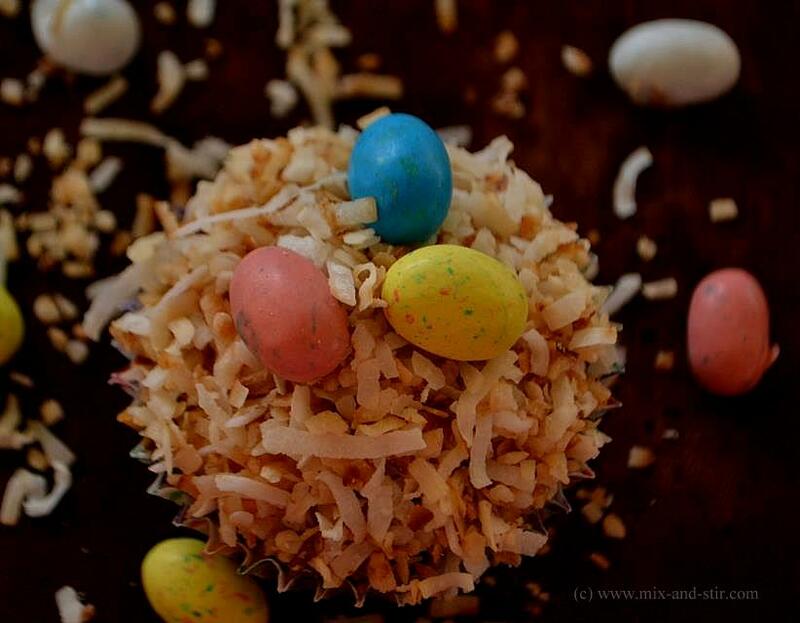 Remove the toasted coconut from oven and keep it aside to cool until ready to use. With a offset spatula, spread the whipped cream about a ¼ inch layer over the top of each cupcake. 4. 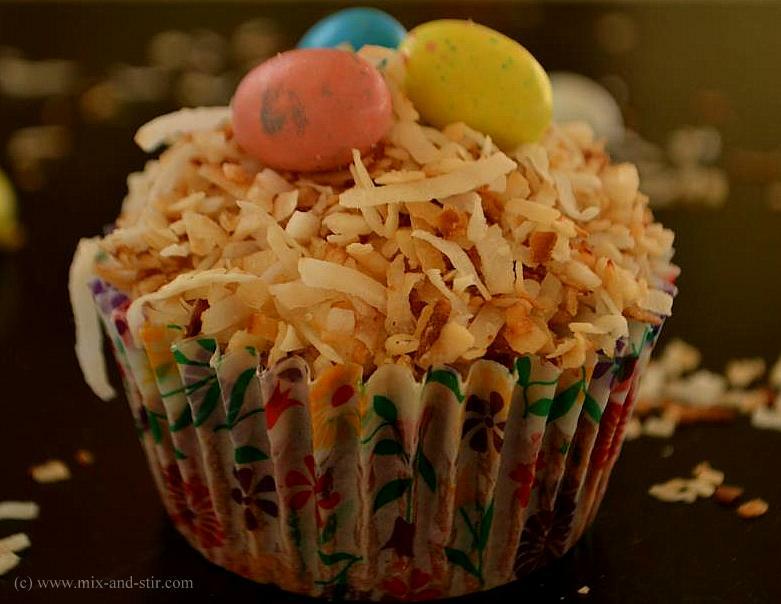 Sprinkle the toasted coconut around the top. Place the egg candies in the middle of each cake. 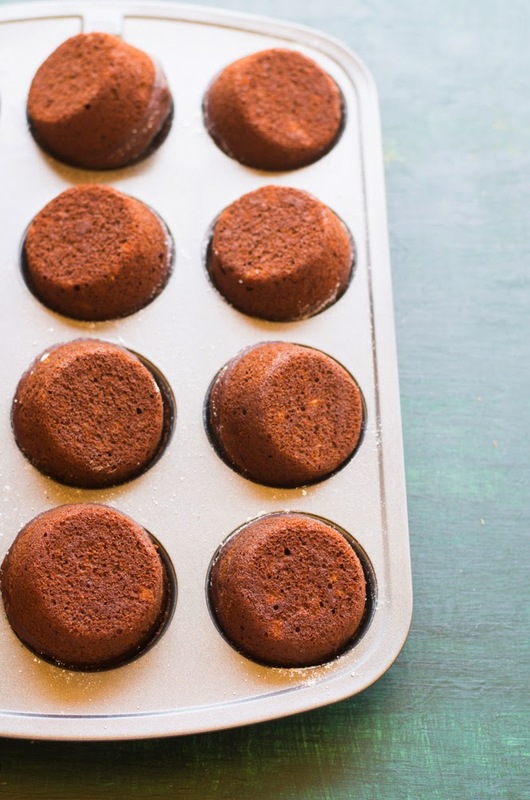 Cover and refrigerate cupcakes until they are ready to serve.